This two-volume work examines general relationships among the structures, reactivity, and properties of polyamides important for predictions in such fields as materials science. The team of authors, including polymer research chemists, physicists, and specialists in technology and processing, compiled an extensive amount of literature (over 2300 references) to produce two volumes packed with text, tables, drawings, and first-hand information, much of it never before published. Topics include lactams and their production, properties, analysis, theory, and the technology of their polymerization, in addition to polyamides and their processing, modification, analysis, molecular characterization, structure, physical properties, degradation and stabilization, designing and application of products. 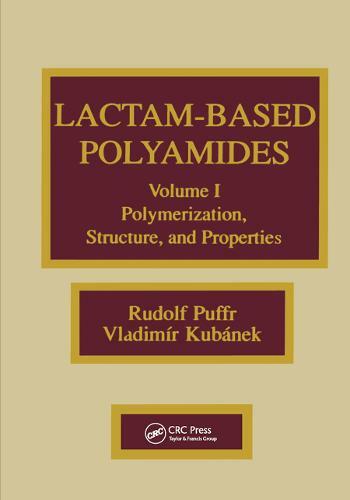 Researchers and specialists in the preparation, modification, processing, structure, and properties of linear aliphatic polyamides will find Lactam-Based Polyamides, Volumes I and II to be invaluable texts.